There were lots and lots of dry things on our walk. It is after all, California in the summer. 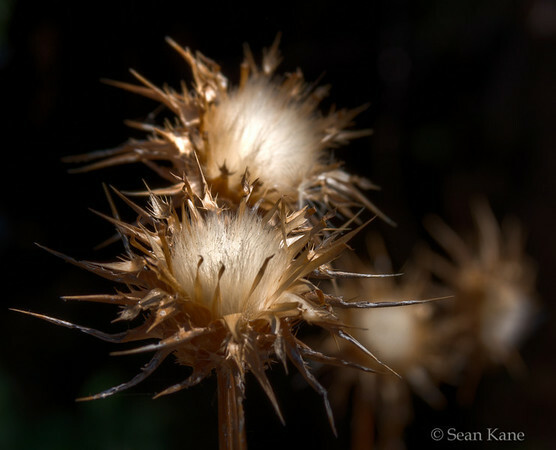 Thistles in general are pretty interesting to look at regardless if they are green or brown. The sun was high overhead which made these pretty challenging to shoot and get the interesting detail out of. This is a three exposure HDR image to bring out some of the detail in the center of the front thistle. Today I participated in the Worldwide Photowalk here in San Jose. About 15 or so photographers got together and walked through the hills looking to capture something interesting. I was able to stick around for about two hours and I ended up with 10 shots that I’m happy with. The first one out-of-the-gate is this nice little bumblebee departing a thistle. These guys move fast, I am excited I was able to capture him so crisp. The kids and I went hiking around Anderson Lake in Morgan Hill on Sunday. The sky was playing very nice and the views were gorgeous. 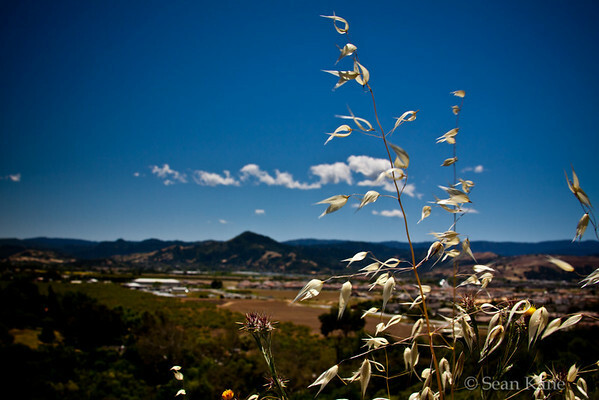 I really liked how the brown grass interacted with the blue sky, orchards, mountain and puffy white clouds. I took this at 28mm f13 to get the background just slightly out of focus. It was a bit breezy so it was really tough to get this with a super-sharp grass in the foreground. One of my new recent favorites! Today, I took the kids hiking through the hills in San Antonio Park with some friends to visit Deer Hollow Farm. The flowering thistles were drawing my attention but not delivering in any shots, no matter how much I encouraged them. 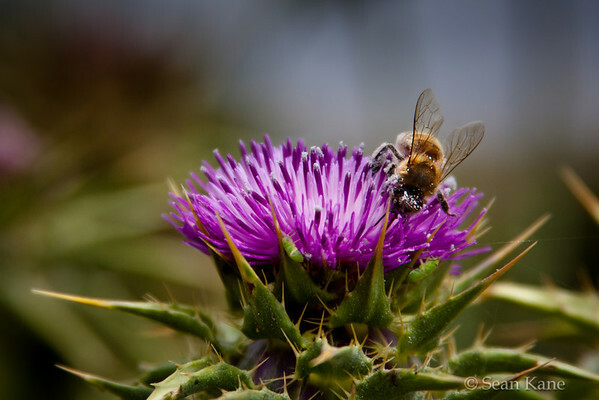 Along the hike, my friend mentioned the bee on a nearby thistle. Needless to say, that was followed by several clicking sounds coming from my camera. 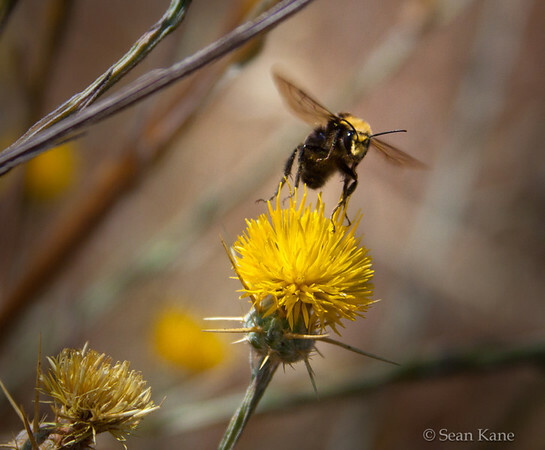 I love the pollen on this bee, the colors, clarity, aphids and spider web.